The increase in exploratory O&G programs around the world and specifically the deepwater exploration programs being undertaken at the GOM, in West Africa and Brazil has caused major improvements and new technologies and materials to be employed in subsea equipment, such as BOPs, wellhead systems, risers, manifolds, flowlines, drilling fluids among others. 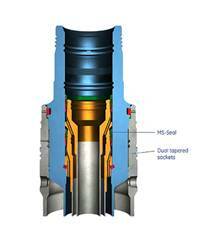 GE´s VetcoGray has developed an interesting seal technology for its subsea wellheads. Named MS seal, it is based on Metal-to-metal sealing technology. All VetcoGray subsea wellheads use metal-to-metal sealing technology, which is superior to elastomer options because it prevents inevitable heat and corrosive fluids from damaging seal integrity. Both the wellhead and hanger have a sealing area of parallel wickers. Due to the extreme demands placed on subsea equipment used in the pre-salt E&P Petrobras has been forming various partnerships with local and foreign companies to develop specially designed equipment to tackle the hazards of deepwater pre-salt development. One of the newest partnerships implemented by Petrobras, was for a feasibility study on Flexible pipes for practical oil production in pre-salt area with Japan Oil, Gas and Metals National Corporation (JOGMEC). JOGMEC and PETROBRAS have a long history of research and development partnerships which started back in 2005, for collaboration on mutual benefit O&G exploration and production activities, HSE related matters, and R&D activities of the O&G sector. The Remus 6000 AUV was designed and developed by a partnership between the Naval Oceanographic Office, the Office of Naval Research and the Woods Hole Oceanographic Institute (WHOI). The Hydroid Inc, is young company, which was founded in 2001 by the inventors of REMUS to commercialize their product and to allow this ultra-deepwater AUV technology to reach a wider market and to guarantee funding for continuous product development. The REMUS AUV is the product of over 15 years of leading edge research and development. The REMUS 6000 is the deepwater version of the acclaimed Remus 100, lightweight, shallow water AUV and the Remus 600 deep water AUV. If the earlier searches for the debris had made a more intensive use of ultra-deepwater AUVs, finding the sunken fuselage, the black boxes and voice recorders may have taken considerably less than two years. However we must also consider that the total estimated search area was huge. The first idea of using submarines, just wasn´t enough with the extreme depth involved (3,900 meters). France had announced last February that it would begin the 4 phase of its search for the AF 447 debris, somewhere over 700 km from the north coast of Brazil, beyond the remote islands of Saint Peter and Saint Paul, a notorious shipwreck location. The new effort aimed to find the downed Airbus A330-200, which crashed on May 31 2009, killing all 228 passenger and crew members as it flew from Rio to Paris. The Woods Hole Group (WHG), headquartered in East Falmouth, Cape Cod, Massachusetts, recently announced the launching of its first office in Brazil over increasing concerns about possible environmental problems which may be triggered by the continued increase in O&G exploration in Brazil. There are no local environmental organizations in Brazil that can match the experience, expertise and credibility of the WHG in terms of providing comprehensive solutions to challenges and consequences of environmental problems. Although Brazil´s official environmental impact agency “IBAMA” is undoubtedly experienced and even efficient in its environmental impact monitoring, it is still a government agency and therefore it can hardly be considered completely independent. In the past all umbilicals were made of thermoplastics, used mainly for transport of hydraulic fluids to open or close valves, with separate hoses connecting to each valve on a subsea tree. 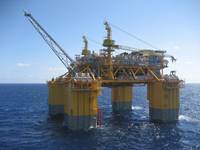 As the deepwater production increased, concerns over possible failures on thermoplastic umbilicals mounted, triggering the development of the steel tube umbilical. 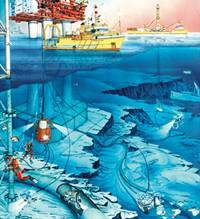 Efficiency and reliability are the keys for deepwater umbilicals. The modern subsea umbilical used by the O&G industry provides transmission of electric and fiber optic signals, electrical power, hydraulic fluids, and injection of chemical fluids from the surface to the seabed through electric and/or fiber optic cables encased in thermoplastic and/or steel tubes. With the great demand for deepwater subsea equipment and services, for deployment at the new pre-salt plays and other post-salt deepwater plays from Petrobras and other O&G operators in Brazil, various companies specializing in deepwater equipment and services are setting up or have already set up shop in Brazil. At this point there are very few totally national companies that have the capacity to offer deepwater E&P support services and basically there are no 100% national companies with the capacity to manufacture deepwater support equipment. That will undoubtedly change along the next decade but for now until the foreseeable future these equipments and services will be provided by foreign companies through their Brazilian subsidiaries. The French subsea systems manufacturer has been introducing its range of subsea products in Brazil, including the AUV Alistar 3000 and ROV systems. Since 1981 ECA Hytec has been specializing in the design and manufacture of remote controlled systems for intervention in "hostile" environments. This activities include four main sectors: Subsea (offshore oil & gas, defence, oceanography), Nuclear, Pipes and sewers, boreholes and large bore pipe works (main ducts, galleries...), Environment with Explosive risks. They supply a wide range of o products such as remote controlled vehicles, video systems, robotics systems and remote controlled tools. Some of those are also available for rental. Chinese companies such as Sinopec, Sinochem, CNOOC, CSSC are actively pursuing partnerships worldwide, in Brazil this effort is particularly noticeable through recent partnerships with O&G players such as Petrobras, Statoil and Repsol.In the shipbuilding business news of some form of partnership between CSSC and local builders is expected for the near future as the local shipbuilding capabilities expand. In the O&G industry, Sinopec just recently announced its partnership agreement with Spanish operator Repsol. The agreement represented a capital increase of around 7 billion for Repsol Brasil, increasing Repsol Brasil´s total capital to around 17.8 billion. With this agreement 60% of Repsol Brasil still belongs to Repsol, while 40% now belongs to Sinopec. New discoveries and the development of deepwater and ultra-deepwater pre-salt increases the demand for subsea equipment and service providers, attracting various international and local companies to compete for subsea contracts for the Brazilian offshore.The deepwater scene is in full swing in Brazil, with major projects being developed by various operators and national operator Petrobras. All these projects require a multitude of subsea equipment and subsea services, which accounted for a steady growth in subsea equipment and service providers from around the world setting shop in Brazil. Companies that have a history of quality equipment and services usually have an advantage when disputing these contracts, but the final product and services price is also a major issue. The umbilicals in the oil and gas industry are the lifelines of deepwater O&G fields, connecting wells to the offshore platform. The use of carbon fiber rods to replace some of the steel sheathing is an interesting development for use in deepwater umbilicals.Since the 1990s, subsea production systems have become increasingly important, specifically for deepwater plays. 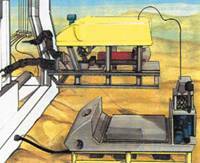 Some wells or well systems are located as far as 100 km from the production rig and may be up to 3,000 meters deep. As a result, umbilicals composed of steel tube conduit, thermoplastic hose, or a combination of the both, are critical for power, control, communication, and fluid injection to keep deepwater wells working efficiently and producing continuously. Petrobras, Brazil´s National operator hás recently disclosed new local and international O&G discoveries. 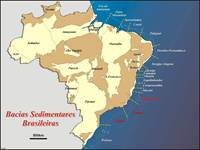 The discoveries in Brazil are all in deepwater. In the Espírito Santo Basin the hydrocarbon accumulations were found in the Cretaceous reservoirs of a well known as Brigadeiro, down at 1,900 meters and located within the BM-ES-23 concession area in Block ES-M-525, 115 km off the coast of the State of Espírito Santo in southeast Brazil. This new deepwaterdiscovery at the very promising Espirito Santo Basin, was confirmed through wireline logging and fluid sampling, in t reservoirs located at around 4,200 meters.Petrobras is the operator of block BM-ES-23 (65%), which is also composed of Shell Brasil Petróleo (20%) and Inpex Petróleo Santos (15%). The Brazilian northeast state of Bahia will house various construction yards and shipyards dedicated to rig module construction, such as jackets and floats.Accompanying the growth in ship construction in the Brazilian northeast states, the tropical state of Bahia is showing a marked increase in shipbuilding investments. Along the “Baía de Todos os Santos” or Bay of All Saints, various yards are being built to compete for rig module orders. The major client will undoubtedly be Petrobras, but there are expectations that as the yards increase their efficiency, other national and foreign O&G players operating in the Brazilian offshore will also become interested in placing orders to these new yards. With an eye on the lucrative subsea equipment market, suppliers are investing in technology, local workforce and expanding local facilities. New Brazilian companies specialized in subsea equipment and services also strive to compete with foreign suppliers.Today Petrobras is one of the greatest if not the greatest subsea equipment buyer in the world. 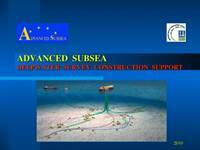 With the ongoing discoveries of new deepwater and ultra-deepwater O&G plays in Brazil´s offshore, there is a sustained demand for essential subsea systems such as BOPs, Christmas trees, subsea manifolds, risers, rigid and flexible flowlines, umbilicals, subsea control and monitoring systems, ROV´s, AUS´s and all manner of subsea support systems.